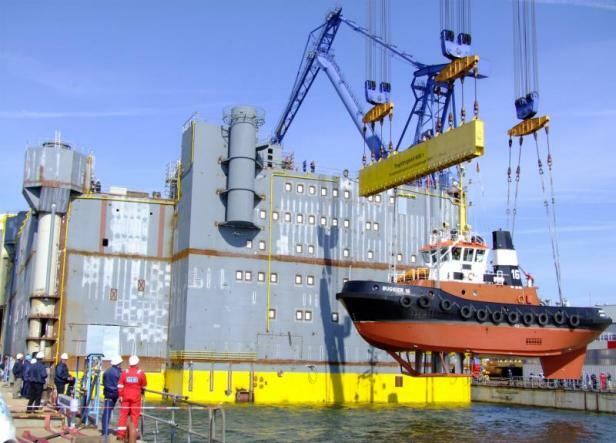 The transmission grid operator responsible for the German North Sea, TenneT has awarded the offshore grid connection DolWin3 to Alstom. As the general contractor, Alstom will deliver and construct both the offshore and the onshore substation and connecting cable systems, together with their partners the platform builder Nordic Yards and the cable suppliers Prysmian. They will utilise DC technology as well as DC voltage source conversion technology (± 320 kV, 900 MW). The project has a total investment volume of more than € 1 billion. DolWin3 will be the third grid connection within the wind farm cluster DolWin in the southwestern North Sea, and will have a capacity of 900 MW. The project is scheduled to be completed in 2017. The power generated at sea will be transferred to shore via an 83 km long high voltage direct current transmission line. The wind energy is then transported another 79 km from the coast to the substation Dörpen/West in Lower Saxony via a land cable. "Transmitting the electricity generated in wind farms to the grid on the mainland without energy loss is one of the main challenges of future supply infrastructure. With DolWin3 we are strengthening our position as a technology leader in the field of high voltage direct current transmission," says Grégoire Poux-Guillaume, President of the Power Transmission Division of Alstom. Lex Hartman, a member of senior management at TenneT, says, "We are taking energy policy a step forward and helping to ensure that offshore wind energy can make a significant contribution to the energy supply of the future." DolWin3 is the eighth grid connection project with DC technology for TenneT. With three further AC technology projects, the transmission system operator will then bring a total of 6.2 GW of offshore wind energy on land. "Including DolWin3, we will invest more than € 7 billion in the energy turnaround," says Hartman. Alstom has also secured a five-year service contract for the onshore and offshore substations, including the platform. The service package includes maintenance, spare parts supply and a technical support hotline.